Looking for extra storage space? 1st Lake Properties can help you. Storage space – or the lack thereof – should definitely not be overlooked when considering renting an apartment and can prove to be a luxury amenity. Fortunately, 1st Lake Properties has you covered when it comes to spacious closets and storage space. There are excellent 1st Lake Properties apartments in Metairie that offer roomy closets to hold your wardrobes for all seasons and then some. Check out the Lost Bayou and Surfrider apartment communities. For those who have too many personal possessions than they know what to do with, there are great, convenient storage solutions. It all comes down to utilizing your available space. The bathroom is typically the smallest room in an apartment, and for some, holds the most items. Hanging racks and baskets are easy fixes to store toiletries and towels. For the kitchen, magnets can be your friend. There are great magnetic spice racks – which can also be used to hold other small metal objects – that can be applied to cabinets to create more space. Cord control can become a difficult household issue to deal with, but with handy hanging organizers, you won’t have any problems. 1st Lake apartments not only have ample inside storage, but outside storage as well. Many of our apartment communities feature garages where you can park your car and store all the extra belongings that you do not need on a daily basis. Brewster Commons in Covington features garages with extra large doors. 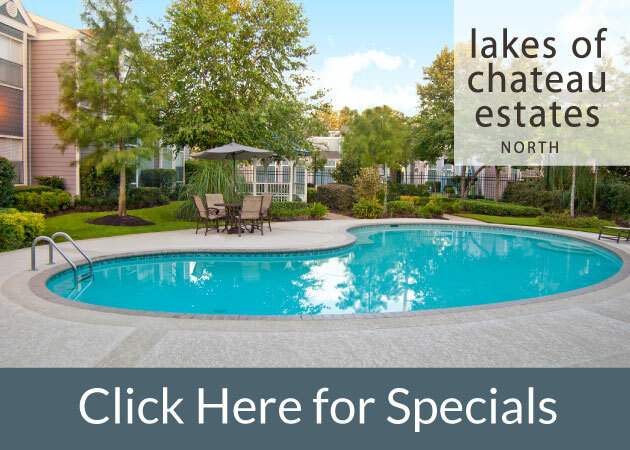 The Villas of Laketown apartments in Kenner, just a stone’s throw away from New Orleans, offer outside storage space with their attached garages. Still need extra space? Check out Metairie Mini Storage just off of Cleary in Metairie for additional storage space that you can rent on a monthly basis. Call today for monthly rentals: 504-455-8644.